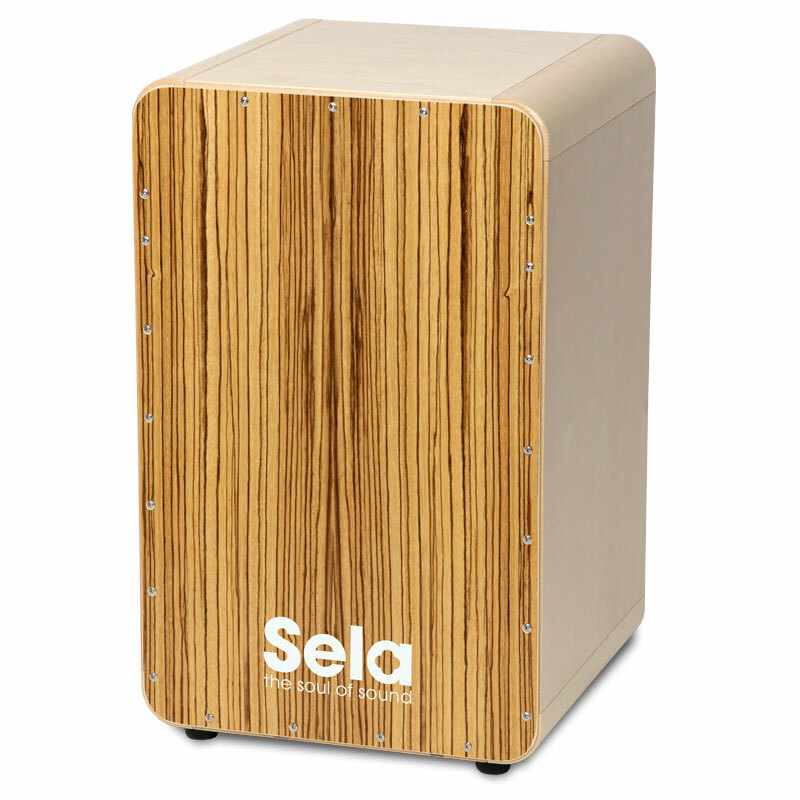 The CaSela Snare Cajon is a professional cajon which combines Sela‘s many years of experience making cajons with highly modern production methods. 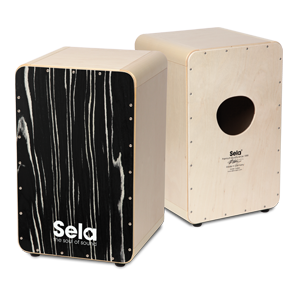 This opens up entirely new visual and acoustic possibilities. 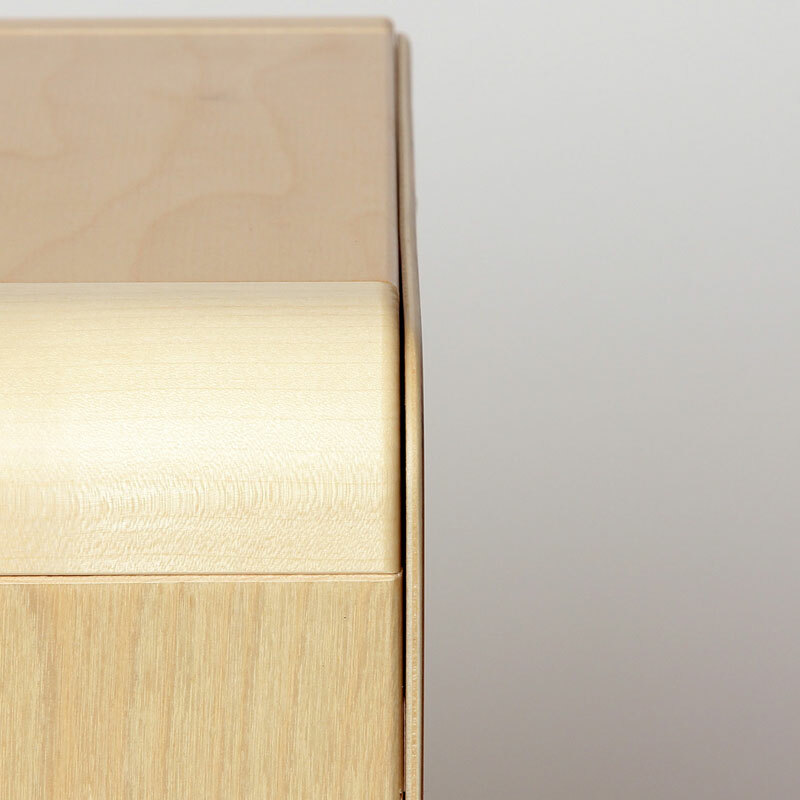 The precisely finished components are "Made in Germany" and are of the highest quality. 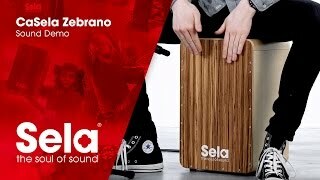 The extra-strong body guarantees an optimal sound production. 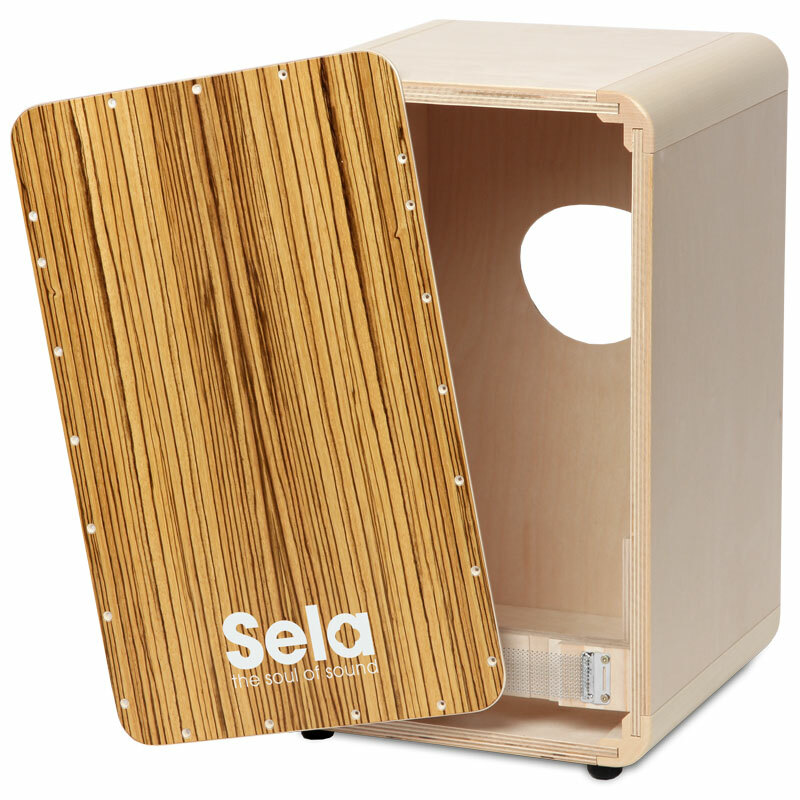 Rounded corners and the Sela Thin Splash veneered playing surface provide a relaxed and enjoyable playing feeling. 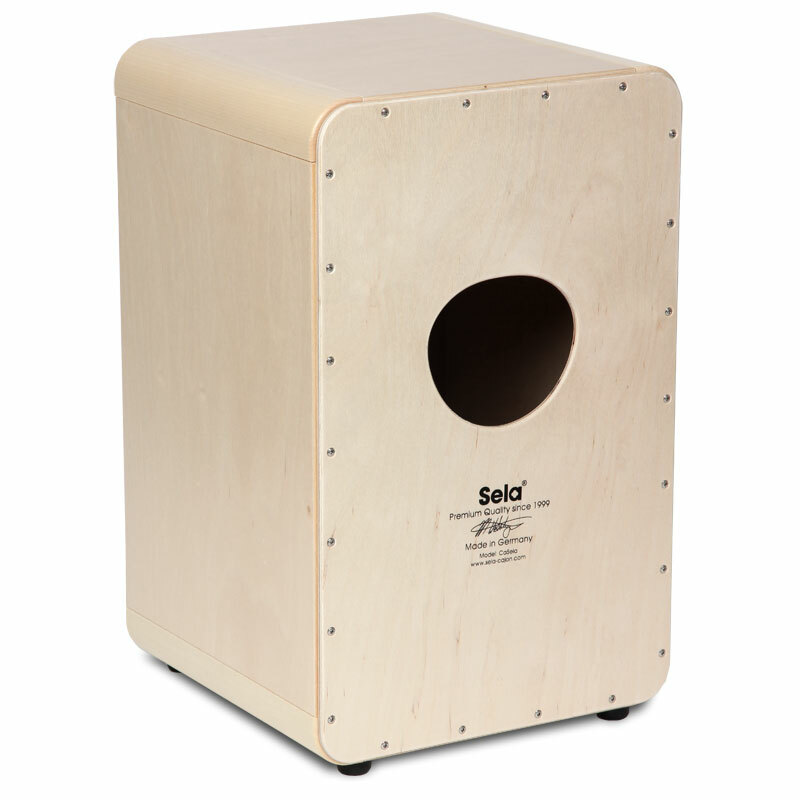 Due to the construction, subsequent replacement of the playing surface is possible. The sound of the Sela Snare System can be attenuated or amplified according to your taste. 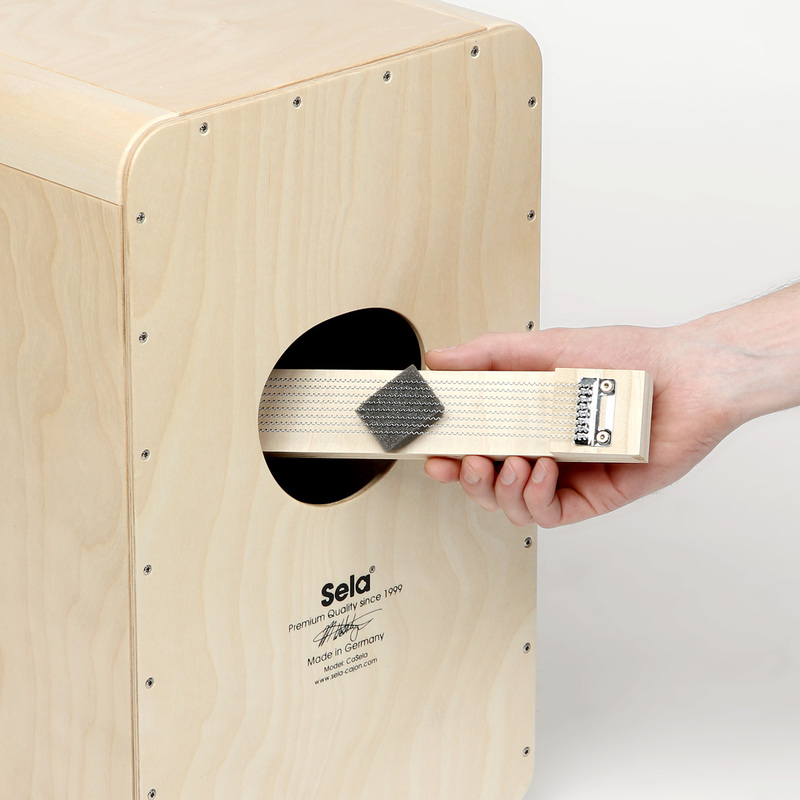 Additionally you can remove the snare easily. 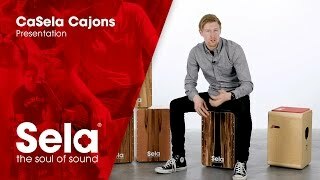 Through that your CaSela turns into a traditional Peruvian cajon without a snare. The cajon has individually adjustable clap corners, in addition to the crisp snare sound and the differentiated bass. 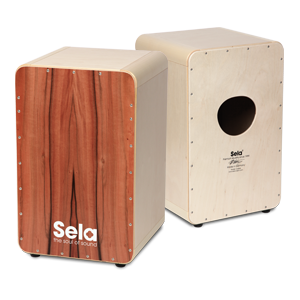 All pictures are approximate, since wood is a natural product, so the actual tones and structures may vary slightly.